Alstom has started construction at the new site in Widnes, Cheshire, which will create about 600 jobs. The firm aims to win contract to manufacture trains for HS2. The French train company Alstom is building the new multimillion-pound plant in the north-west of England, delivering a major boost to the region during a time of uncertainty about Britain’s exit from the European Union. Alstom will spend an initial £20m on a new site at Widnes, Cheshire, creating about 600 jobs. The facility will modernise the Pendolino trains on the west coast mainline and contain a training academy, but it could eventually manufacture new rolling stock if Alstom wins a contract to produce trains for London Underground or HS2. The Paris-based company is making the investment in Britain despite concerns about the cost of importing and exporting products after the country leaves the EU and doubts about the future of the HS2 rail project. Carlos Ghosn, the chief executive of Nissan, warned last week that Brexit threatens Britain’s vehicle manufacturing industry and he would look for compensation from the government before committing to new investments. 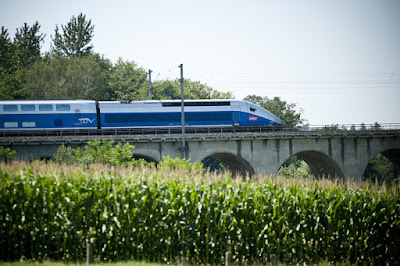 However, Nick Crossfield, the managing director of Alstom for UK and Ireland, said the French company is “fundamentally committed” to the UK market. He also described HS2 as an “incredibly important and transformational investment” for the UK. Crossfield said the investment in Widnes represented a “step change” for Alstom’s approach to the UK. It also highlights the revival in Britain’s train manufacturing industry. A decade ago Britain was left with only one train manufacturer – Bombardier in Derby – after a string of closures. However, Hitachi, the Japanese conglomerate, opened a plant in County Durham last year and Alstom’s announcement is another boost. The 30-acre site is due to open next year. The facility will grow “according to the opportunities that we win”, Crossfield added, and is a “foothold that provides us with a base to expand even further”. The Alstom boss said the company had not reconsidered the project despite Britain’s vote to leave the European Union:“One of the major issues with UK rail right now is capacity, and that is underpinning all of the investment that is going in. “While the EU question is important for the country as a whole, people still need to get on trains to get from A to B and we see no reason why that investment will change. “We are fundamentally committed to the UK market. Its strategic importance, its size and its dynamics were not impacted by [Brexit],” he added. Alstom has confirmed it will bid to build the trains for HS2 and unveiled plans for double-decker carriages. It is also bidding for the New Tube for London contract, which is worth up to £2.5bn and involves designing and building 250 next-generation trains for the Piccadilly, Bakerloo, Central and Waterloo & City lines in London. Crossfield said that even if the government scrapped HS2, which is estimated to cost more than £40bn, it “would not change the investment perspective for us here in the UK because there is a very significant and healthy domestic rolling stock market”. Nonetheless, Crossfield said HS2 is a “very significant opportunity” for Alstom, with the company eyeing up the contracts to build rolling stock and infrastructure for the network. He said it was “too early to say” whether the trains would be built in the UK if Alstom won the contract, but some work is but some work is likely to be conducted in Widnes. The company employs 32,000 people around the world, including 3,200 at 12 UK sites. Theresa May confirmed at the Conservative party conference that the government will “press ahead” with HS2, and Alstom has welcomed the government’s comments. “It is a very crucial and important infrastructure project that should go ahead,” Crossfield said. “I was at the Conservative party conference over the last couple of days speaking at a couple of fringe events and the government remains committed to HS2 in a very vital way. I think it is an incredibly important and transformational investment for the country. Alstom remains under investigation by the Serious Fraud Office over corruption allegations regarding overseas contracts. Seven individuals have been charged as part of the investigation, which relate to consultancy agreements signed in 2001, 2002 and 2004. One of the individuals who has been charged is Terence Watson, who stepped down as president of Alstom UK earlier this year and was replaced by Crossfield – who was promoted from his role as managing director of train control. Watson is contesting the charges. Crossfield said the investigation “does not effect or impact what we are doing”, adding: “It’s not on my day-to-day agenda in terms of how I run the business. Click here here to see the range of Alstom trains.